The Connecticut River was the birthplace of the American Industrial Revolution. 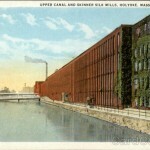 Along the river, its tributaries and canals provided power for the textile mills, brass works and, later, machine tool industry, that formed the industrial and economic model for the American industry. The river also offered a key transportation and trade route for the lumber, fishing, agriculture and manufacturing industries. Towns like Greenfield, Northampton, Holyoke and Hartford sprung up to take advantage of the clean and cheap water power, and these communities thrived for generations. Since the 1970s, jobs in the industrial and manufacturing sector have suffered a deep decline. The Connecticut River Valley has been particularly hard hit by the loss of sustainable wage working class jobs. Communities along the Connecticut River are struggling to survive, and to find a replacement for the industries and economic stability that supported them for nearly two hundred years. But new high-speed rail lines are planned, green industry is coming to the Valley, and the potential for new sustainable industrial development is brightening. In this third episode of Writers Voice Special Series The River Runs Through Us, we explore the economic influence of the Connecticut River on the early American Industrial Revolution with historian Dr. Kerry Buckley; peer into the life of William Skinner, one of the men shaped that revolution in a conversation with his great-granddaughter Sarah Skinner Kilborne; and look ahead to what’s next for the economic stability of the Connecticut River Valley in this era of deindustrialization with sociologist and musician Professor Tom Juravich. To understand how the Connecticut River shaped the early American industry and economy, Writer’s Voice’s Drew Adamek talked to historian Dr. Kerry Buckley about the influence of the Connecticut River had on economic development and industry in colonial America. 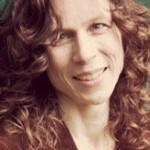 Dr. Kerry Buckley is the Director of Historic Northampton Museum and Education Center. He is an expert on the history and culture of the Connecticut River Valley and edited the essay collection, A Place Called Paradise: Culture and Community in Northampton. His articles and reviews have appeared in The New England Quarterly and The Journal of American History. 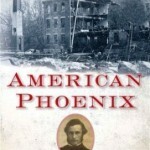 Francesca Rheannon talks with his great granddaughter, Sarah Kilborne, about her book, American Phoenix, The Remarkable Story of William Skinner, a Man Who Turned Disaster Into Destiny, to learn more about the forces that shaped his life and the economy of the Connecticut River Valley. The economic catastrophe that has decimated manufacturing and labor isn’t unique to the Connecticut River Valley but, as the birthplace of the American Industrial Revolution, the Valley stands as a powerful symbol for the decline of American industry. 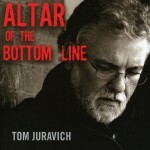 Tom Juravich is a professor of Labor Studies and Sociology at the University of Massachusetts Amherst. He has studied labor and unionization in the Connecticut River Valley for decades. His work examines, in part, the loss of industrial jobs and the impact that de-industrialization has on the working class. His work appears widely in academic journals. He is also an accomplished musician, with three roots rock albums out. We hear the title track from his album, Altar of the Bottom Line. His albums can be found on ITunes or on his website. Drew Adamek talked to Juravich to find out why so many jobs have been lost in the last several decades, the impact that this has had on Connecticut River Valley communities and what, if anything, can be done to reverse that decline. Just heard your interview with Sarah Skinner Kilbourne yesterday. I have been meaning to write to you many moons ago to tell you how wonderful your interviews are. The one with poet Philip Schultz was extraordinary. That’s when I found you one day. I thought he was great… but I kept wondering who this great interviewer is! You brought out all the most interesting things. And I just remember that he himself said that he had never been interviewed so well. He complimented you. When he said that, I jumped in and agreed…but no one heard.